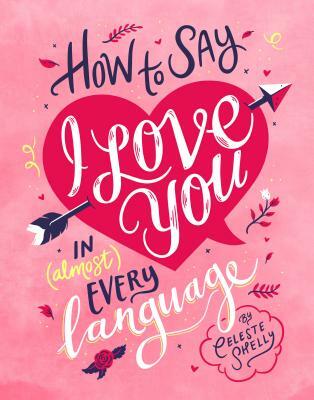 This beautifully designed and illustrated guide to saying "I love you" in 150 languages is the perfect gift for the romantic traveler or loved one. This is the perfect book for romantics, language nerds, travel enthusiasts, and anyone on a round-the-world trip hoping to meet the love (or loves) of their life! With 150 of the world's most common languages covered--as well as some fictional ones, like Klingon, Na'vi, Dothraki, and Elvish for good measure--this book will have you covered wherever you are on the globe (be it on the ground or online). Each entry in this beautifully produced gift book has a pronunciation guide and tells you where the language is spoken in the world, so you'll be sure to say "I love you" perfectly every time. Let's get more love in the world! Celeste Shelly is a freelance writer from Atlanta, Georgia. Celeste is a travel junkie and linguistics obsessive.